The smooth and warming flavours present in Northland come from the unhurried way in which the spirit is made, and from the maturation, which takes place in American oak quarter casks. 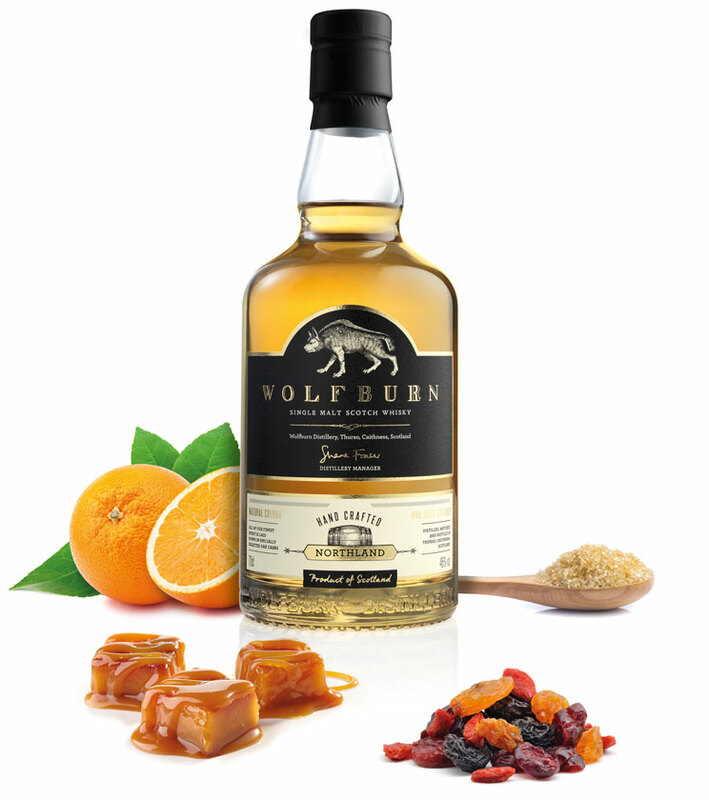 Matured and bottled on site, Northland represents the first chapter in the history of Wolfburn. Non chill-filtered @ 46% ABV. Initially sweet with notes of fruit and fresh sea air. In the background you’ll find citrus freshness and hints of cereal, and just a trace of peat smoke. I continue to be blown away by this newcomer; marked in its competitive set. Small quarter cask with a big heart. Our signature taste and something we are all very proud of. A sherried whisky made from spirit laid down in American oak and Spanish Oloroso sherry casks. A delicate touch of peat - matured in ex-bourbon barrels and quarter casks. Matured in first fill ex bourbon casks and bottled at 58%. Buy from our selected online reseller or use our map search tool to find your nearest stockists.